Apple is approaching towards becoming a trillion-dollar company. And iPhone has a huge role in this. The device is one of the best examples of an ideal handset. But in the end, it is a machine. And machine gets damaged over a certain period of time. And, in this case, if your iPhone gets any issue, the best way to solve the problem is to restore it. Your iPhone may need restoring due to many reasons. Hence, you must be aware of how to restore iPhone. Let us first have a look as to why you will need to know how to restore iPhone without iTunes. First of all, you might need to restore iPhone device if it becomes unresponsive or if its screen gets frozen. This may be due to shortage of resources or prolonged use of the iPhone. Restoring iPhone may help you get back your lost data. Let us have a look as to how you can restore iPhone from backup. Restoring iPhone using iTunes is one of the simplest ways to perform. All you need to do is follow the given steps below and know how to restore iPhone from iTunes. Step 1: Open iTunes and connect your device to the computer. If it asks for the passcode, provide one. Step 2: Select your device when it appears in iTunes. Under the Backups section, select "Restore Backup" option. Choose the data base that has the recent date. Step 3: Select Restore and wait for the process to end. In this way you can restore iPhone and keep everything. Step 1: Erase your iPhone. Before erasing your device, you will need to take a backup of your device in case things go to south. 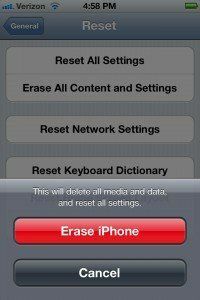 You can erase your device by going to Settings >> General >> Reset. Now, click "Erase all content and settings." Step 2: Restart your device. On App & Data screen, select the option "Restore from iCloud Backup" and then log in to your iCloud account. Step 3: Select the appropriate backup. Your device will be restored when you choose a backup You are all done. We do headred that user complaining they failed to restore iPhone in iTune or iCloud due to many errors. If so, you can try an alternative to reset iPhone to factory settings. Tenorshare ReiBoot, an easy tool that helps to reset iPhone to factory settings with only simple clicks. This tool will also help solve any iOS system pronlems by repairing operating system. Follow the below steps to restore your iPhone with ease. 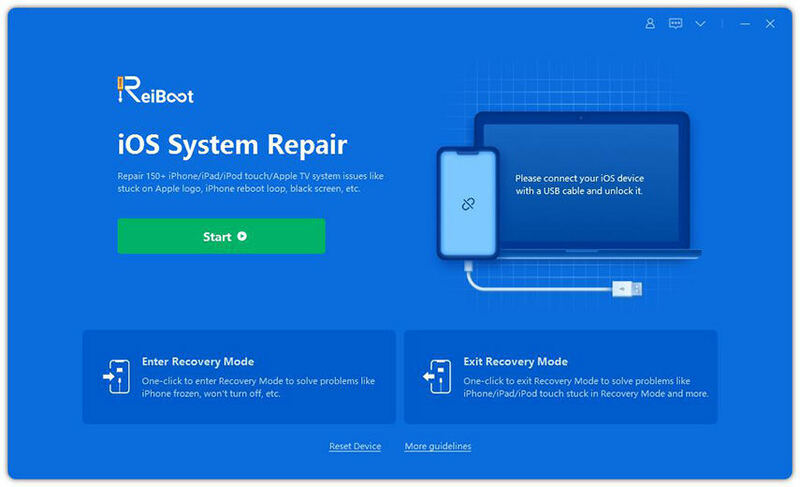 Step 1: Download and install ReiBoot on your PC or Mac, launch the program and choose "Factory Reset iPhone" to proceed. Step 2: Follow the screen guide to download the fimrware package on your computer. This process may take a while, you can also manually import the package if you have. Step 3: Once the firmware is downloaded successfully to computer, click "Start Repair" to reset iPhone to it's original state. In a nutshell, we had a look at the top 3 solutions on how to restore iPhone backup from iTunes and by other ways. This can be done using iTunes. You can restore your iPhone using iTunes with a specific backup. Next, you can also restore your device using iCloud. But you will need to erase the data first. Lastly, you can use iTunes to factory reset your device. In addition to this, if you encounter any problem during this process, you can always depend on Tenorshare ReiBoot. Do let us know your feedback on the above mentioned solutions. Also let us know of any other solution if you have. We will be happy to mention it. You can do this by commenting below.